In my previous blog post, I talked about the role of people in developing a coherent analytics strategy for your business that lasts. While that might seem like a trivial point, the reality is that in some ways it can be too easy to become focussed on things like technology limitations which impact the deployment of analytics. In actual fact, while that is undoubtedly important, the blend of people, technology and process are all fundamentally linked in any successful analytics strategy and should never be separated. One of the key techniques I use to help determine opportunities to develop, improve or create an analytics strategy is to think in terms of service design. Service design is a classic approach used to help, for example, UX designers match a customer’s need with an existing or new service. As part of the service design toolkit, a UX designer will often consider service requirements which are guided by principles across organisational design, information architecture and technology considerations. 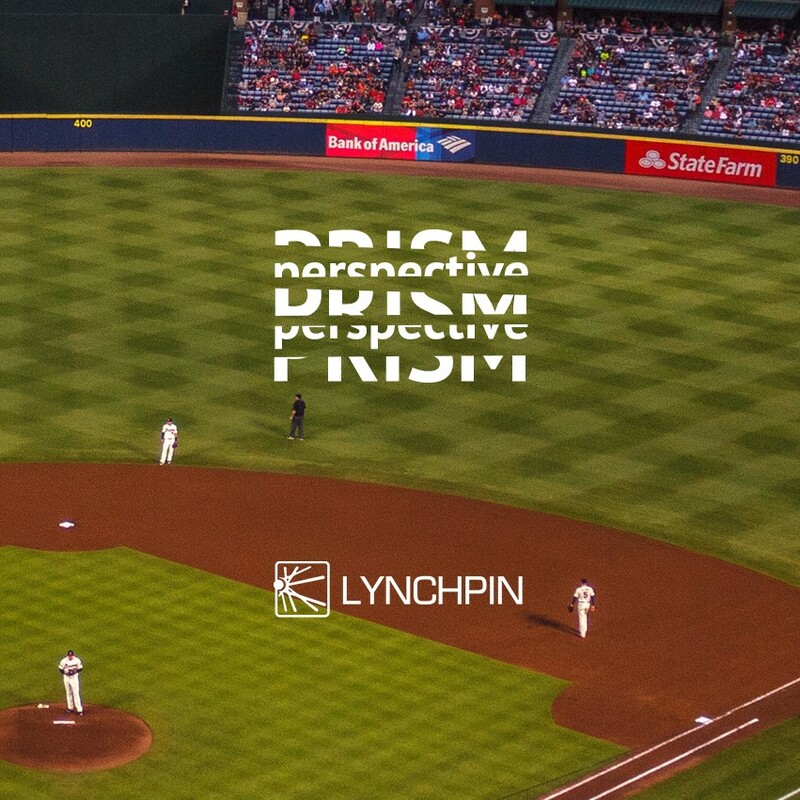 There are many parallels with how I approach analytics ‘design’ and through 15 years’ worth of supporting clients with data and analytics challenges, at Lynchpin we use 5 key areas to help shape analytics strategy. This blog post focusses on the first of those 5 PRISM areas, perspective. Increasingly, and in general, companies recognise the significant potential of data as a commercial asset – when using it correctly, data becomes a direct enabler for unlocking advanced analytics initiatives. The increasing commercial potential in leveraging analytics, combined with increased complexity in vendor / technology solutions only leads to increased expectation from analytics initiatives. Matching those aspirations with robust analytics delivery can lead to a sense of being overwhelmed. Building up the frameworks, processes and workflows to mobilise data into insight means there needs to be a culture in place to provide the much-needed support framework to support that execution. Unfortunately, whereas decisions around vendor selection, for example, are relatively straightforward (but still challenging!) it’s very difficult to create a step-change in company culture! In my last post, I made reference to football – here I’ll use baseball as a useful sports analogy! In the 2011 film Moneyball (which I recommend! ), the manager of a baseball team is struggling to develop an effective team after losing some key players. The manager decides to invest in a new approach using applied statistics (commonly known in baseball as Sabermetrics) to support the development of a new way to measure player value. The team struggle to get the new techniques working, primarily through a lack of data and especially due to a lack of faith and support from those more senior in the organisation. For many readers this may ring true – how vital it is to get investment at board level to gain traction, investment and priority for key projects, especially when related to data or analytics! Building trust is a key step. In Moneyball, once they had started to establish Sabermetrics as a technique to extract insights, the results on the pitch were unfortunately not very good – the team were still losing badly. However, through good communication (and some resilience), good sharing of useful insights and an effort build up trust in the science behind the data, those who believed in the value of Sabermetrics ended up building and generating support across the whole of the business. This then created a positive feedback loop that encouraged the further use of analytics, setting in place the data-led culture for which the film is famous for portraying. There is certainly some myth around the facts and what actually happened, but the film does at least give an indication of the types of strategies that may play a part in driving towards a positive data-led culture. Building trust in the data you have is always going to be a key factor in creating the right conditions for advocacy in analytics across the business. When you then start to think about sharing analytics effectively across the business it is important to think about the players (stakeholders in the service design) that can contribute to that success. Some businesses have centralised analytics teams, others have a more hub and spoke arrangement with experts aligned across business teams. It doesn’t necessarily matter what the structure is – companies are successful when they combine the trust considerations with effective sharing and analytics organisation – again, a team sport! In summary, sharing, exec support, influence and structure are key measures of perspective that I use within PRISM to help articulate the hotspots and opportunities. This is done by going back to the service design toolkit, interviewing key and relevant stakeholders and getting a reading on culture from those that live and breathe it within an organisation. The results from these interviews, and that grass-roots viewpoint can often be surprising and are generally always insightful. I’ve seen many cases where clients begin to flourish in terms of developing an analytics strategy by listening carefully to the signals from their colleagues and assembling a roadmap that blends these perspective measures into a wider analytics strategy. That then a key and fundamental building block that helps to drive forward the culture in the business to embed analytics to fuel important decisions in product or service strategy. However, while necessary, it is not sufficient to focus solely on culture. In the next blog I will be covering the next category in PRISM (Reporting). In the meantime, be sure to follow Lynchpin on LinkedIn and Twitter for updates.